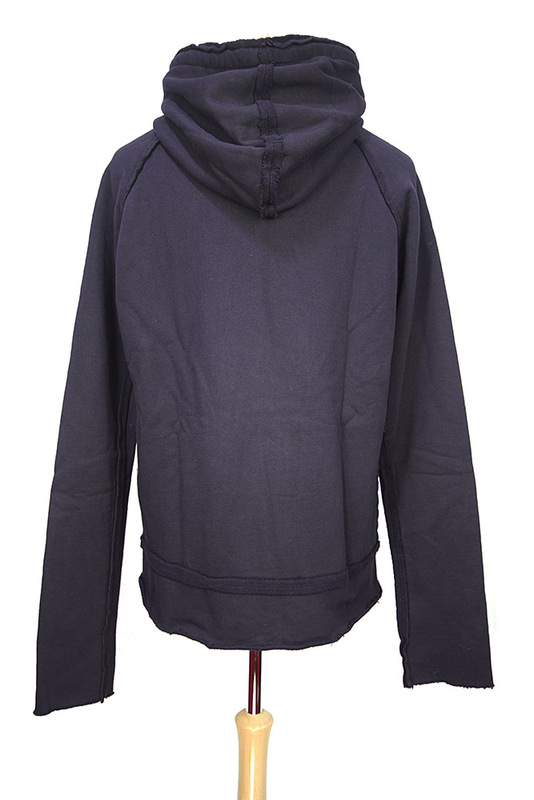 Rundholz Dip Collection overdyed, heavy-duty sweat style fabric, hooded zip jacket in blue ink cloud colour. Hood with heavy duty rolled fabric drawstring. Double zip fastening down front. 2 rounded patch pockets. Raw edges and seam details throughout. Just about the best hooded jacket you could get, we love it.